If you have been convicted of a DUI, there are options to install an Ignition Interlock Device (IID) in your car to help return your driving privileges. 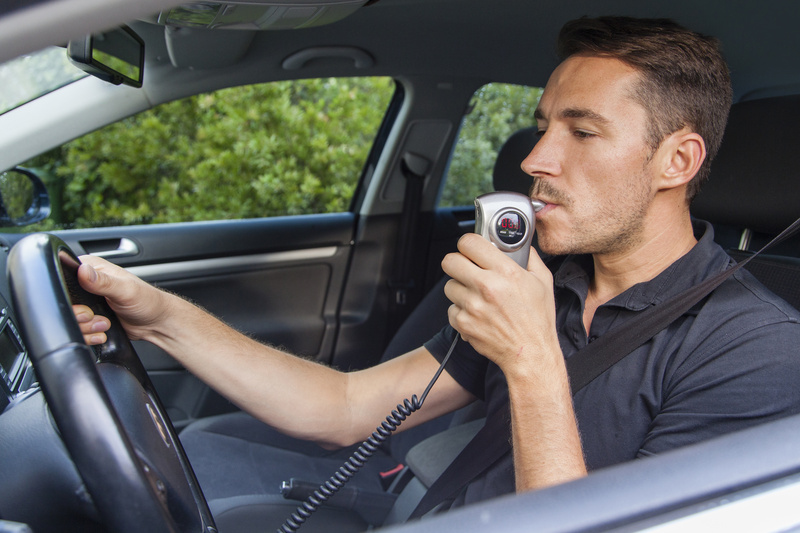 An IID requires you to blow into an alcohol detection device that will prevent your vehicle from starting if any alcohol is present in your breath¬—it may also be known as a Breathalyzer. Since 2010, new laws require the installation of IIDs in vehicles. A second or third DUI conviction in California comes with the option of installing an IID in exchange for a shorter license suspension period. While an IID appears restrictive, you might have more freedom with a IID hooked up in your car than without one. In many cases, IID installation brings unrestricted driving anywhere you want to go, more than driving just to and from work. In this series, we’ve covered the background of DUI , DUI with Injury, DUID, other related charges, as well as information relating to traffic checkpoints, traffic stops, arrest, and vehicle impound. Today we’re going to discuss the important things you should know about the process of defending any DUI charges. If you have been arrested for DUI in California, you have 10 days to request a hearing with the Department of Motor Vehicles (DMV). If you fail to do this, your driver’s license can be suspended. If you contact the DMV within 10 days of your arrest, and ask for a hearing on whether you were driving with a blood alcohol level of .08 or above you may also request a stay (postponement) of your license suspension, which will normally allow you to drive up until the date of your DMV hearing. Before we get to defending a DUI or related charge, let’s discuss traffic checkpoints, traffic stops, arrest, and vehicle impound — all are important when it comes to understanding the process of being charged with a DUI. On many weekends and holidays, local police agencies and the CHP set up traffic checkpoints that take place from late evening through the early morning hours. We’ve already discussed DUIs , DUIs with Injury , and DUID . But there are other similar charges you should be aware of—we will be discussing these charges today. A “wet reckless” is a nickname for the charge of reckless driving involving alcohol. If the prosecutor feels the DUI case against you has a weakness—when your breath or blood test result is close to .08 or if your sobriety tests were not bad—they might offer a plea bargain involving substituting the DUI charge with a wet reckless (VC 23103.5). In this series, we’ve already discussed DUIs and DUIs with injury. Today we are going to look at a related charge, driving under the influence of drugs (DUID). DUID cases are different from DUI cases in that they involve more than just alcohol. The law does not specify the amount of a drug that must be present in the blood to be considered under the influence, so conviction of a DUID requires law enforcement to present evidence of your ability to safely operate a vehicle was impaired by the presence of one or more drugs. Note that both prescription and non-prescription medications such as anti-depressants, antibiotics, pain relievers, and any other drug can result in being cited for DUID. Last week we discussed DUIs and the penalties associated with being charged with DUI. Today we will look at a related charge, DUI with injury. If you are driving under the influence of alcohol or drugs, and you injure another person as a result of your DUI, you will likely be charged with DUI with injury. Throughout California, and especially in Placer County, DUI with injury charges bring harsh sentences and serious collateral consequences. Placer County is one of the toughest in California when it comes to enforcing DUI laws and has specialized courts to handle such cases. In response to three prominent DUI homicides in 2005—including the death of a respected police officer and a child on a bicycle—Placer County assembled a task force to determine ways to deter DUIs and reduce risks. The task force placed special emphasis on second offenders. In an attempt to separate out “high risk” offenders, the probation department administers a psychological test. If the defendant scores poorly on the test (or has other risk factors such as a recent prior), formal probation is ordered. The DA asks for 30 days of jail time for all second offenses. California law requires only 48 hours in custody. The statewide average is 10 days or less—often 48 hours plus an eight-day work project.